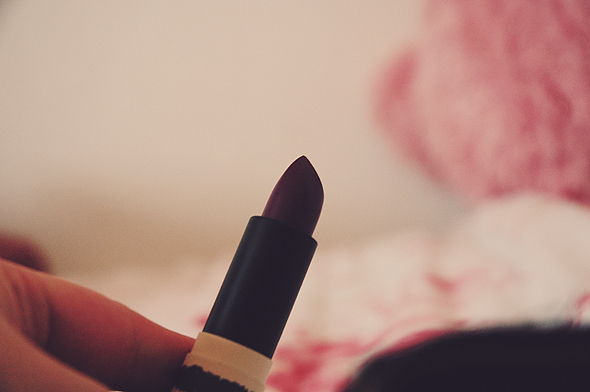 Rarely one to stray away for the norm, I surprised myself when I picked up this lipstick. It was ultimately Jessie's review that convinced me, and I parted with my money on Saturday. Inhibition is a beautiful deep plum shade which will look fantastic over the coming Autumn and Winter months. It is a matte lipstick, so I discarded the "moisturising" text of the packaging. But I was pleasantly surprised when I discovered that this is more moisturising compared to a lot of the lipsticks I own! I've noticed that it lasts for quite some time on the lips, wearing off during eating/drinking, however I don't find this much of a problem. 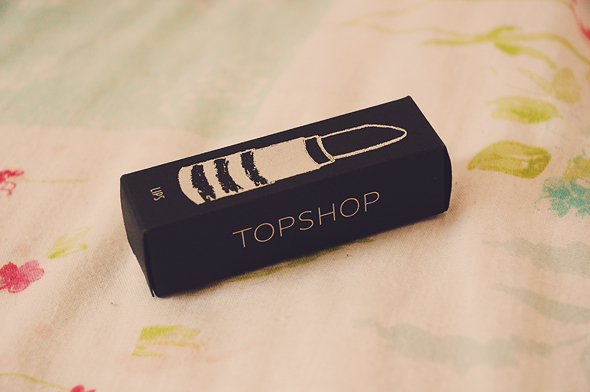 Now correct me if I'm wrong as it's my first Topshop lipstick purchase, but I swear it has a berry scent! Or is this just my nose fooling me? I'm so pleased that I bought this, and think it would look extremely flattering on most, despite how dark it is. Inhibition gets two thumbs up from me, and has left me feeling positive about future purchases from Topshops lipstick line! This would look amazing in winter time! I've been umming and arring buying it! It's quickly becoming a favourite of mine! this colour really suits you! bet you're glad you took the plunge now! Love this colour on you. Wish I could wear something like that. This is super pretty and surprisingly wearable !